To celebrate the publication of the ninth edition of the Oxford Advanced Learner's Dictionary which includes the new Oxford iSpeaker, Oxford University Press organizes the new Say it with Oxford Competition. 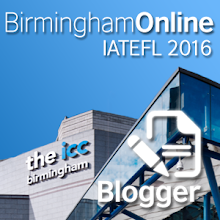 This competition will give your students the chance to create their own role-play video. They will be able to demonstrate the language they've learned from the iSpeaker. Choose a Conversation topic from the Conversations on Oxford iSpeaker. For example, Asking for help, or Making suggestions, etc. In groups of two or three, write a script using some or all of the expressions in the Conversation video and the Useful Language box for your chosen topic. Everyone in your group needs to speak! Perform your script on video. Be as creative as you wish! Your video should be a maximum of 2 minutes long. Your video should show how well you can use the words and everyday expressions that are in your chosen Conversation topic on Oxford iSpeaker. Your creativity in the use of language as well as the way you work together will be considered. You'll all need to speak clearly so the judges can hear what you say! Upload your students' video (s) on YouTube. Fill in the entry form and upload the URL of your video. If you are entering more than one video, fill in one entry form per video.